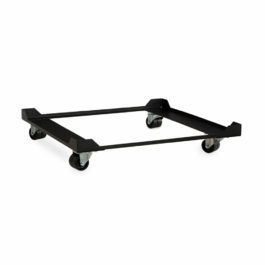 The LINIER® Caster Base provides a sturdy, mobile base that is suited to be used with any of the LINIER® Fixed Wall Mount Cabinets. The low profile base assembles in less than five minutes and adds only 2.9″ in height to your cabinet. Whether you need a compact rolling cabinet to fit under a desk, or you’re short on space and don’t want to wall mount the unit, the LINIER® Caster Base in conjunction with a LINIER® Fixed Wall Mount Cabinet provides a cost-conscious, mobile solution. Performance Caster Kit is a great add on to our Performance Series® LAN Stations/Workbenches. 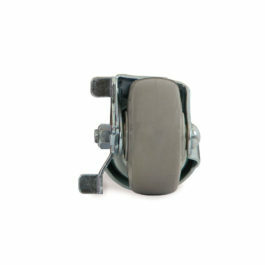 No hardware or tools are required to install these lockable, swivel casters. They simply twist into the base of the table leg for a secure hold. 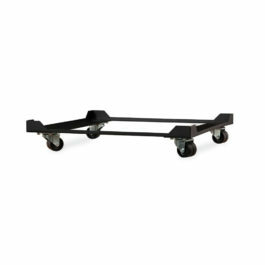 These heavy duty bearing-driven casters have threaded shafts that replace the levelers and make installation easy. With a maximum load capacity of 1,000 lbs., you can add the LAN Station Caster Kit to any Performance Series® LAN Station/Workbench or 4-Post Open Frame Rack to make it mobile. 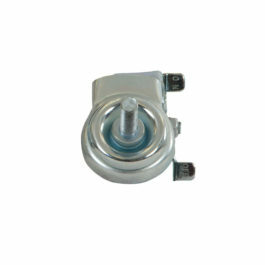 When installed, the casters will add 4″ in height. Performance Corner Caster Kit is a great add on to our Performance Series® LAN Stations/Workbenches. No hardware or tools are required to install these lockable, swivel casters. They simply twist into the base of the table leg for a secure hold. 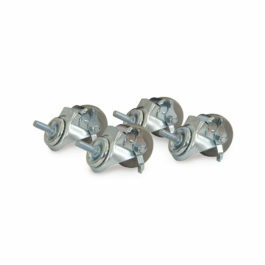 These heavy duty bearing-driven casters have threaded shafts that replace the levelers and make installation easy. With a maximum load capacity of 1,000 lbs., you can add the LAN Station Corner Caster Kit to any Performance Series® LAN Station/Workbench to make it mobile. 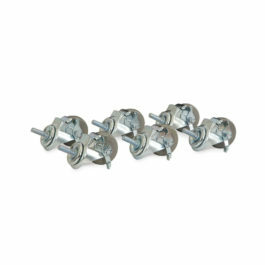 When installed, the casters will add 4″ in height.